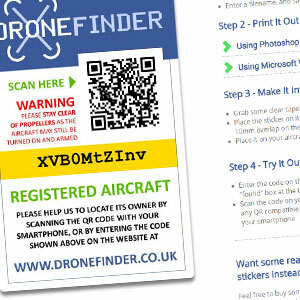 Create an DroneFinder account by entering your details. 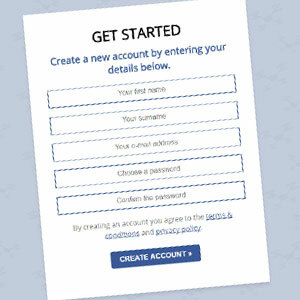 It only takes a few moments and once you've activated your account you can get started straight away. 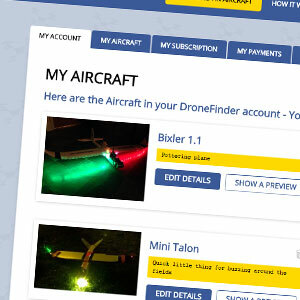 Add UNLIMITED aircraft to your account, listing their name, any identifying marks, reference numbers etc that may be relevant in getting them back to you. Quickly generate FREE avery-label-sized stickers for your account, each with its own unique ID number and scannable code. You can also order them pre-printed from our online shop. 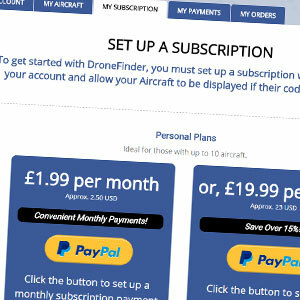 Choose how you'd like to pay for your DroneFinder Subscription - you can choose either convenient monthly payments or save around 15% if you pay annually. Step 5 - That's it! 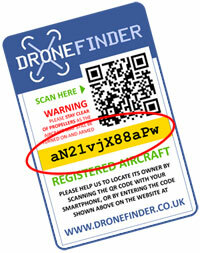 Your DroneFinder Account is up and running! Now if ever your aircraft gets lost, you have a chance at getting it back! 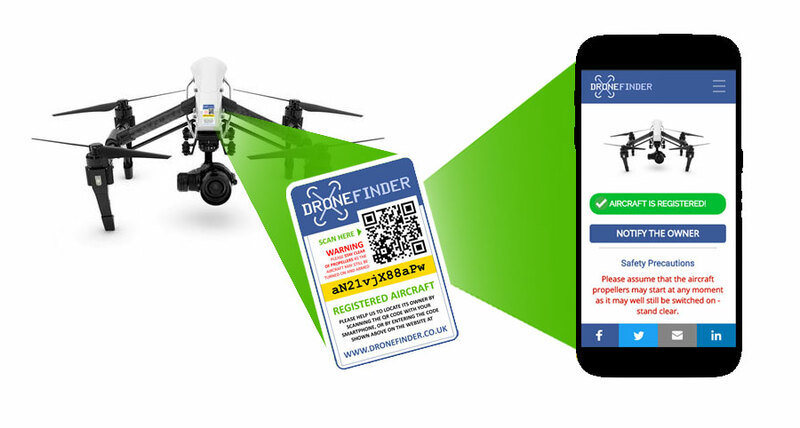 If someone comes across your aircraft, they can either scan it with their smartphone or enter its code onto the website to get instant access to your contact details and or a notification system to let you know exactly where it has been found so you can go and pick it up. You can control which information is available to the finder by editing your privacy settings in your account, and of course you can keep all information up to date simply by editing your profile at any time. Ready to get started? Create an account now!